Handi-Treads | Northtowns Remodeling Corp. Durable aluminum non-slip treads will outlast any grit tape or grit paint. Prevent slips on steps, landings, docks, and any other surface that poses a slip and fall hazard. Multiple colors available. Including Yellow, Brown, Black and Plain Aluminum. Non-slip stair treads are designed to make your home, business, or government building safer. Treads are perfect for high traffic paths where water, ice, or snow can create a danger of slipping. Use our non-slip stair treads on any surface including wood, concrete, masonry, or aluminum. Handi-Treads are built to last. We guarantee our durable non-slip Handi-Treads will not wear out when installed in any residential application. Our lifetime residential warranty is valid so long as you own the property. The warranty covers damage or abnormal wear to your tread; it does not cover misuse or the powder coated finish. 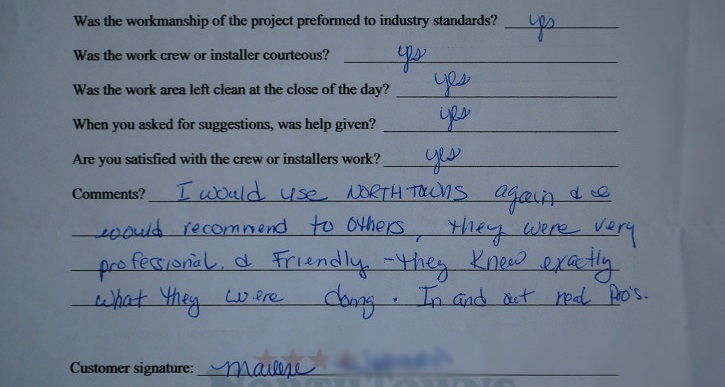 I would use Northtowns again & I would recommend to others, they were very professional & friendly - They knew exactly what they were doing. In and out real pros. It was a delight to have Northtowns do the work for me. The 2 young men who did the work Dave + Geff? Were outstanding! I would recommend to friends + family. Overall very satisfied with workmanship and the pleasant and courteous staff/crew. Greatly appreciate getting the job done so quickly - especially with the holidays so close. Thank you! Highly recommended to our family and friends! 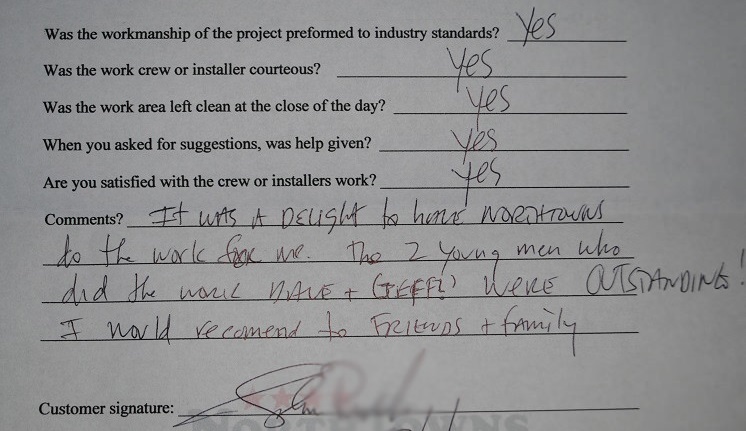 Both installers Brian & Matt were very good at what they do. 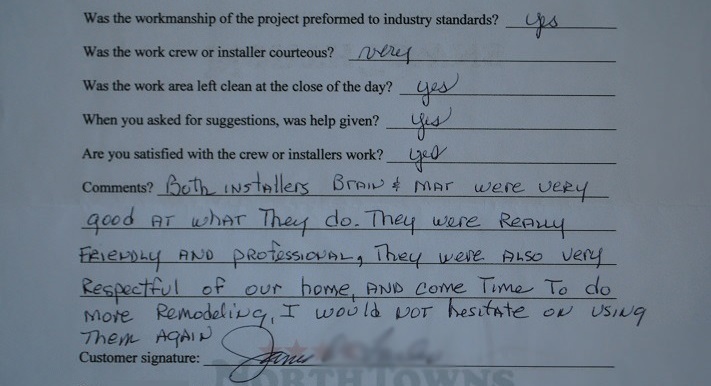 They were really friendly and professional, they were also very respectful of our home, and come time to do more remodeling, I would not hesitate on using them again. Interested in this offer? Give us a call at (716) 876-3300 or fill out this short form below!